The Chicago Police Department said “Empire” actor Jussie Smollett and his music manager are not handing over phone records of a conversation that occurred Tuesday morning during an alleged attack. Smollett claimed two men beat him up, tied a noose around his neck, said racial and homophobic slurs and threw an unknown chemical substance on him Tuesday, The Associated Press reported Wednesday. Do you think the phone records are crucial to finding out what happened here? Police were notified 40 minutes after the attack and found Smollett in his apartment with cuts and scrapes on his face and the rope around the actor’s neck, according to The AP. Smollett asked police to shut down the body cameras as he explained why the rope was around his neck. 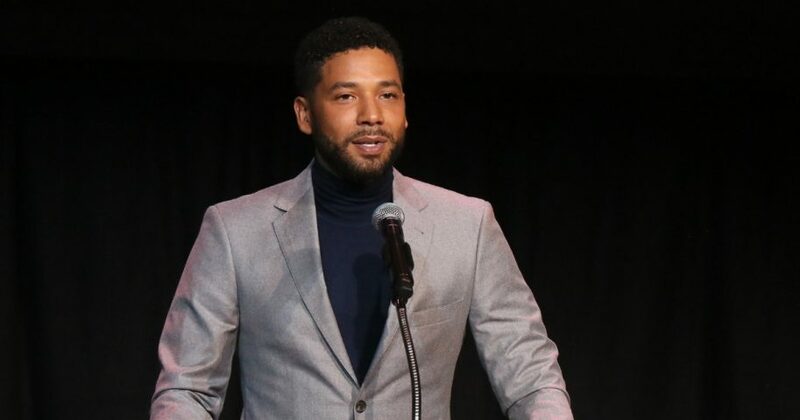 Guglielmi said Tuesday evening they could not find video evidence of Smollett getting attacked. Police expanded their search area and found two suspects Wednesday, according to a tweet by CPD spokesman Anthony Guglielmi. The picture shows two people walking between 1:30 a.m. and 1:45 a.m. in the vicinity where Smollett was allegedly attacked Tuesday, ABC7 reported.